Couples for Christ in GVA West 2 is on its 3rd year of doing fundraising for the shelter program of ANCOP, the dinner and dance fundraising event is on November 24th at Riverside Grand Ballroom in Richmond BC. 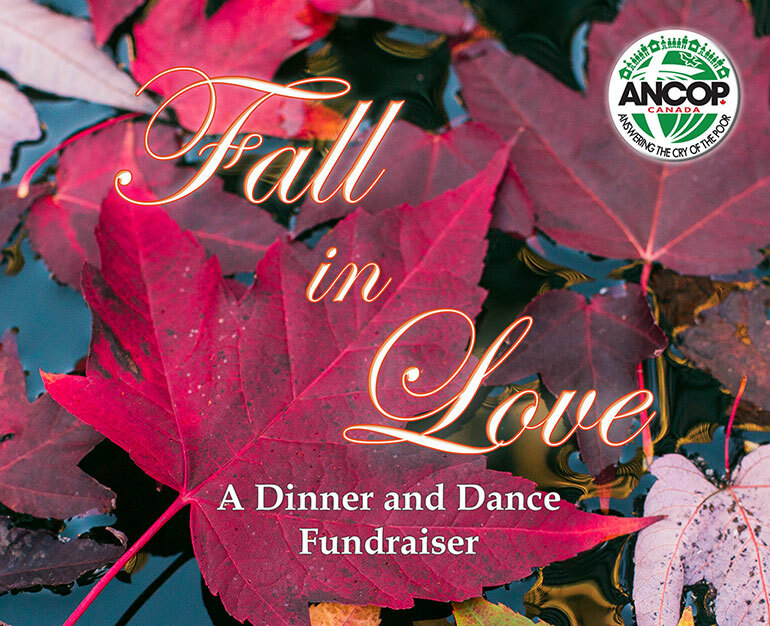 The dinner and dance goal is to raise funds for three to four houses to donate to ANCOP Aytona’s Vancouver Village in Sorsogon where our less fortunate brothers and sisters could cultivate their livelihood. The Guray Family of GVA West 2 with the help of its business partner Global International Foods have donated two houses especially for this fundraising Gala of ANCOP. The theme Fall In Love was conceptualize for the LOVE of ANCOP Mission. We gathered together in this one big event to help the poor families to restore their dignity and hope in life. Our very own OPM classic artist Ray An Fuentes will the special guest. He popularized the song “Umagang Kay Ganda” and Given a Certificate of Special Recognition from US Congress for invaluable contribution to the Filipino community. Another recording artist, singer and multi instrumentalist Ron Militar will also perform. Furthermore, this night is also a celebration of success of our coordinator supporters and sponsors who willingly share their time, talents and treasures. It will be a night of appreciation for the double hard work we all have achieves in Greater Vancouver Area especially the successful fundraising events (the 2018 ANCOP Walk and Spring Run).